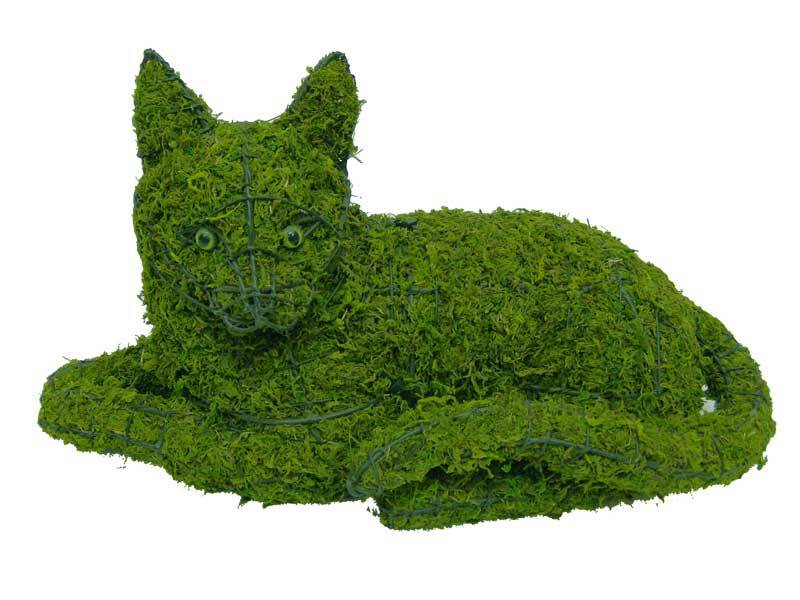 Enjoy creating your very own Cat Lying Garden Topiary Frame. 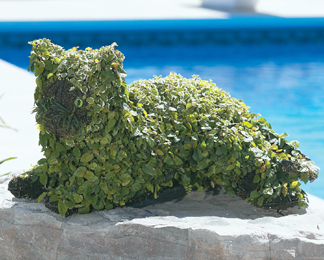 It is simple to plant and personalize your topiary with your favorite plants. Your fantastic creations will bring smiles for all. The topiary frame is made of steel with a durable weatherproof matte black powder coat finish. 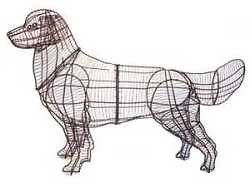 The topiary frame is fabricated to scale for an authentic natural appearance. Most of our topiary forms are designed in sections this allows us to reduce their packaging volume which results in better shipping rates. It also allows for a greater variety of planting options. Sphagnum moss and moss green spray are also available if you want to purchase the moss and apply it yourself. Complete assembly and planting instructions are included with each frame ordered. All of the frames no matter what your option choice are weather proof, are perfect for table center pieces, candle holders, special events, weddings, birthdays, holidays. The possibilities are limited only by your imagination. Constructed of high quality metal and finished in an elegant matte black powder coating to resist the elements. This frame may be stuffed with sphagnum moss and planted or used as a sculpture or used for a climbing vine or ivy to grow on. Constructed of high quality metal and finished in an elegant matte black powder coating to resist the elements the frame is then professionally hand filled with just the right amount of sphagnum moss and treated with "Moss Green" a friendly green spray to enhance the appearance of the mossed topiary. The Sphagnum Moss is your planting medium; it is the "soil" you will use to plant your topiary. You can leave it as is or plant it with your favorite creative plants. 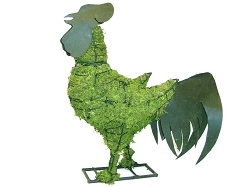 Any plants can be used to plant your topiary that grow in your agricultural zone. 10 Inch Size: Height 10" x Length 15" x Width 9"
Item ships within 14 business days. Expedited shipping available.